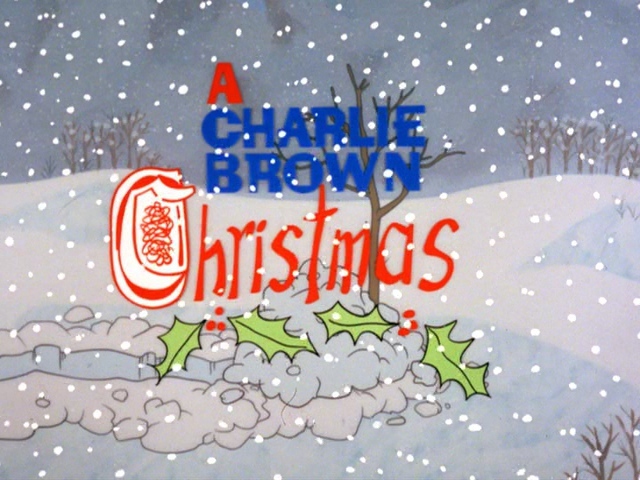 Season’s greetings once again, as we continue our look at holiday classics. Last week we explored the Christmas horror of the Krampus, and this week, we continue that theme with one of the most well known holiday mashups- Tim Burton’s The Nightmare Before Christmas. Jack Skellington is the Pumpkin King of Halloweentown, a land that is literally all about making Halloweeen. Jack and the other monsters work each year to create the perfect holiday, but Jack has grown bored with the same thing over and over. He stumbles across the Hinterlands, an area of the forest that borders other holiday worlds. Jack finds the doorway to Christmastown, and is enthralled by how different it is from the scares of Halloween. Jack brings some of it back home, but it unable to truly grasp the ‘science’ of the holiday. However, his enthusiasm convinces him that he can perform Christmas as well, and he gets the other denizens of Halloween to aid him. But the monsters don’t understand the idea of the holiday, and make toys and gifts designed to frighten children. Oblivious, Jack kidnaps Santa and delivers the toys, only to be shot down and lament his poor choices. However, the experience has reinvigorated Jack’s creativity and love for Halloween, so Jack returns to save Santa from the clutches of the Oogy Boogy Man. Most fans love Nightmare for its design, songs, and imagination. And with Burton’s mind, Danny Elfman’s songs, and its unlikely inspiration (Burton saw the mix of Christmas and Halloween decorations while shopping), these are all great reasons to enjoy the film. But for writers, the film is a great example of two classic themes. First, we have obsession, and a kind we can easily see around the holidays. Jack is someone that is tired of the demands of his life, and living in a world that is a reminder of everything he has grown bored with. But suddenly, he is thrust into a world that is bright and colorful and full of joy. He not only brings this home, but tries to grasp to understand it and then make it his life. We can all relate to feeling enthralled by the Christmas season and its colorful spectacle. But anyone that has seen houses over decorated and people trying to outdo each other with gifts and parties knows that it is easy lose yourself to it as well. But Jack’s attempts go farther- he tries to make his own Christmas before he understands it. He recruits monsters, who only know scaring people, and happily accepts the frightening toys and decorations they make. Anyone could tell Jack that he’s missing the point, but he simply accepts it because they resemble the things he’s seen. Therefore, the movie stands as a metaphor for getting lost in Christmas spectacle and missing what makes it work. But the greater purpose of the story is as a story of a mid life crisis and renewed purpose. While all the monster of Halloweentown love their work, they require Jack’s creativity to truly shine. And Jack has been doing this since Halloween began, so it is easy to imagine how draining the experience has been for him. It has made him feel bored and unsatisfied with his life, but he has no way to leave the holiday he is in charge of. Therefore, he is going through what can be called a midlife crisis- where he is wondering about the point of his life, and whether or not he can continue with it. But the discovery of Christmas gives Jack the total opposite of what he’s been doing and lets him feel that he has something new to design again- in other words, it’s his new car. But obviously, Jack’s creativity doesn’t fit the Christmas setting, and he is literally shot down in flames. But as he lies among the ruins, he realizes that despite his failure, he has performed to the best of his abilities and has enjoyed his work for the first time in years. Feeling reinvigorated, he promises new ideas for next Halloween. For writers looking to sculpt a character full of self-doubt that rediscovers purpose, this is a perfect arc. For those that enjoyed the style and themes of Nightmare, Tim Burton’s Edward Scissorhands and Beetlejuice carry it on in spades, while James and the Giant Peach, a Burton production, carries on the stop-motion style and features a cameo from Jack. And for those that enjoy more weirdness in their holidays, come back next week as we hitch a ride on the Great A’Tuin and visit the great city of Ankh-Morpork. Today I want to discuss one of the most difficult aspects of writing- getting your point across. Writing means making a statement through your story, whether it be personal, social, or moral. Fantasies can be about courage and finding yourself, sci-fi can be about human potential and what we can or can’t do. But whatever your point, getting it to your audience is vital. Not doing enough or doing too much can ruin the impact of your story and unfortunately, it’s something even the best writers can do wrong. In most cases, subtlety is the best course of action. The moral should never overtake the story, because the story should be how the moral is expressed. But overplaying the moral can also cause the story to be one sided and making the story one sided. 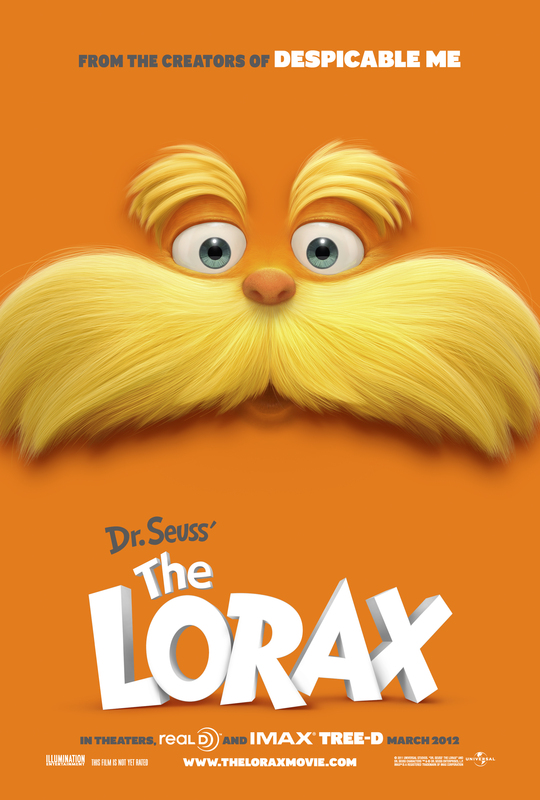 A recent example is the second animated adaption of The Lorax, by Dr. Seuss. Both adaptations tell Seuss’s tale of the dangers of deforestation and greed, but the first takes a moment to humanize the antagonist Onceler, giving him moments of regret for his actions. The story even has him make a strong argument against the Lorax, reminding him that shutting down his factory would put people out of work, a point the Lorax concedes. This causes the viewer to think more objectively and question the lessons of the story. But in the more recent adaption, this is ignored for a more pro-eco stance, which save for one moment of balance, paints all industry as bad and all nature as good, which weakens the argument and makes the message feel preachy. But at the same time, subtly can be difficult as well. While it may not bash readers over the head with the moral, the point can sometimes be lost. A personal example come from the Mel Brook Wild West satire Blazing Saddles. The film is chock full of shots at racism, Western films, and Hollywood, while still throwing random moments of insanity (a man punches a horse. Really). One example is how the black sheriff first rides into town, which stuns the townsfolk into silence. However, they quickly recover and pull their guns on the sheriff. The irony of course, is that the people couldn’t defend themselves from bandits, but are all armed enough to kill a black man. This is a clever point, but flew over my head for many years. Another example is George Orwell’s Animal Farm, one of my favorite satires of all time. The tale is a point by point example of the rise and fall of communism acted out through barnyard animals. But it does require some knowledge of such a government to really be accurate. Still, these examples are less of a problem then overstating and can be either fun to discover or encourage further exploration. So what can a writer do to get a moral across? For starters, never write it in a way that talks down to your audience. Teaching is one thing, demeaning is another, and only one of them works. And try to see more then one side of your moral. If you can’t put your idea against scrutiny, it’s not worth defending. Take the time to show the opposition, and what makes sense about it. It will make your moral stronger for defending and hopefully make a better case. Finally, DON”T LET IT OVERSHADOW THE STORY. The story is meant to highlight the moral- it can’t become you on a soapbox screaming your belief to the world. Greetings and welcome back to the blog. Today I return to active status with a commentary on a very basic aspect of writing, yet one that many writers struggle with early on. I chose to comment on this after reading works from my fellow writers and finding them having a hard time with it. This aspect is the simple rule of show, don’t tell. Imagine the ending of Old Yeller; the tragic scene where the boy is forced to kill his beloved dog, now gone rabid. This is an iconic scene of film history, a scene which never fails to bring tears to the eyes of those who watch it. Now, imagine that scene re-imagined, in which everything happens the same, but the boy turns to the camera and cries to the audience as he acts, “THIS IS SAD! I FEEL SO SAD RIGHT NOW!” Granted, this is an exaggeration, but this is the basic concept of show don’t tell- the idea of allowing the reader to interpret what they see or read, rather then spelling it out for them. However, the issue with many new writers is feeling they need to do this for every scene. While important scenes need to be painted clearly, many writers over do this for fear of not getting their point across. Everything is described too much- the scenery, the motives, and worse, the character’s motivation. 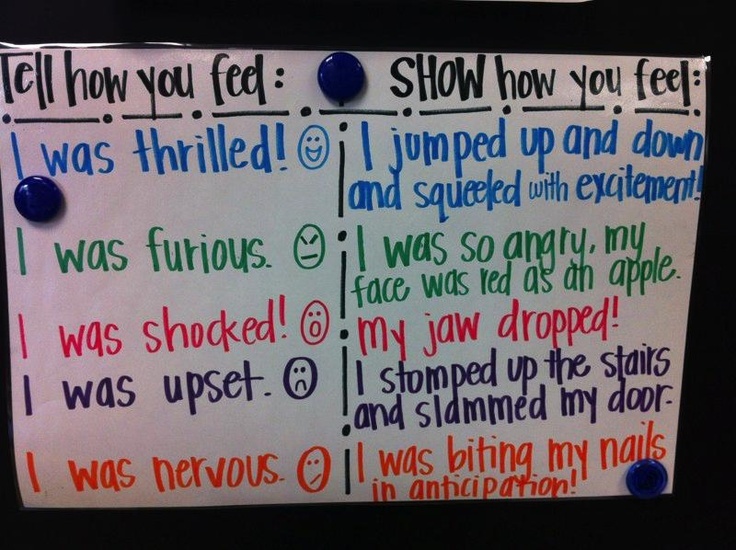 Like the Yeller scene above, writers may simply tell the readers what the characters are thinking and feeling, rather then letting their actions speak for them. Or they will overdo scenery and slow the story down. This not only hurts the story, but the reader as well. To a degree, reading and even watching are mental exercises. The audience needs to be challenged slightly, or else they will not learn to appreciate the experience. One of my greatest experiences in reading and viewing was knowing enough to guess a character’s motivation and use them predict what will happen in the story. But this was only because I read stories that did not tell me everything and forced me to think and anticipate how events might play out. Denying viewers this will make them feel as though the story is overburdened, or that they are reading something far too simple for them. It is the same reason that stories with subtle villains are far more revered then stories with obvious ones- both are important but stories that make a viewer guess engross us more. Simply put, writers need to know when and how to show. As I mentioned, a major scene should be described fully. But spending as much time describing a kitchen as the Gates of Hell is a waste of time. Scenery must never overtake character or story. 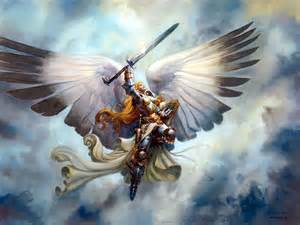 And writers need to have faith that the actions described are effective at molding character and motivations. Remember, the reader is smart enough to interpret a scene, if you are careful. But no reader wants to be told what to feel or what something means. So for a final example, I leave you with a recent example of breaking this rule. Below is an original scene from Return of the Jedi, in which the evil Darth Vader watches the Emperor torture his son…. And here is the version George Lucas put into the recent blu-ray re-release. In starting Portals of Darkness last week, I realized that there were two major influences for Points of Light I neglected to include thus far. So the next two weeks will focus on shining a light on two very dark pieces of cinema that allowed to bring my two central characters to life. And as such, we will start with a film that gave me the traits needed to bring Joseph Hashimoto, the Lightrider, into being- Sam Rami’s Darkman. 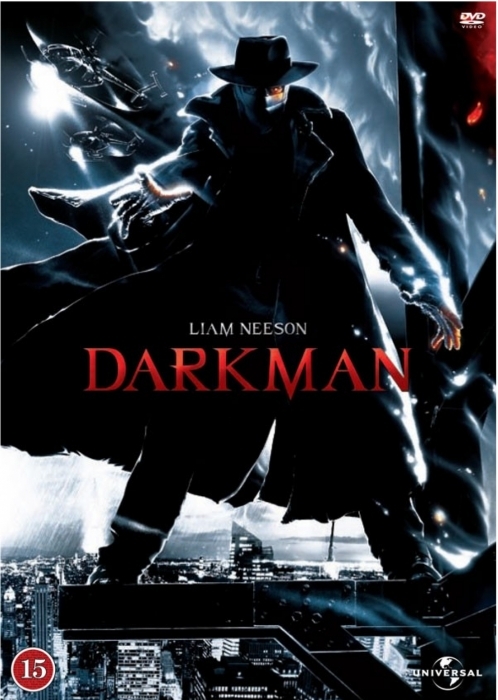 Written by Rami after his failed attempts to direct Batman and The Shadow, Darkman is the story of Peyton Westlake, a scientist working to develop a synthetic skin to aid burn victims; the skin is successful, but loses stability after 99 minutes in the light. At the same time, Westlake’s attorney girlfriend Julie Hastings uncovers a document tying developer Louis Stack to bribery of the city council. Stack sends his enforcers, led by Robert Durant, to intimidate Westlake for the document; in the process, they severely damage Westlake’s hands and face, before blowing up the lab with him inside. Westlake survives, but is burned over 70% of his body; to allow him to ignore the constant pain, doctors sever his nerve endings, eliminating his sense of touch. Westlake escapes and works to perfect his skin, rebuild his relationship with Julie, and get revenge on the enforcers, by using his skin to impersonate them and set them against each other. However, the loss of touch has caused Westlake’s brain to amplify his emotions to compensate; therefore he becomes increasingly unstable as Stack and Durant work to destroy him and Julie. As a fan of dark heroes, Darkman truly appealed to me and I was not disappointed by what I was shown. First and foremost, the film helped me in developing the look of the Knights, specifically their costumes. I was always entranced by the look of the Shadow- fedora, mask, long black coat, but it was also too clean for my tastes. Darkman emulated that look but it made feel dark and gritty and REAL. While I mixed that look with some medieveal themes, it was a major point in the look of the Knights- something unusual but with a degree of practicality (especially the mask). Darkman also exemplifies another quality I admired- a great sense of dark humor. While I’ve always loved this kind of hero, I especially enjoy a character that can crack a joke without losing his menace, and Darkman does that perfectly, especially in this scene here. It’s both menacing and humorous, something I took to effect with characters like Nightstalker and Sandshifter. and the eventual decision to remain in the shadows. Everything Darkman underwent was shown explicitly and made you feel everything he went through. It amplified every time we have felt alone and lost from our true selves in life, and it was why we felt for him. It showed what I needed to do have Joe go on his journey, experience joy and suffering, and eventually become a different, if not better man without losing the memory of who he was. And without that, I had no book. While Darkman is certainly an exaggerated example, it stands as an excellent demonstration of a character caught between two sides, and experiencing emotional pain and stress as they navigate their way. Such characters are universal in fiction and writers can use Darkman to plot their own character’s course (choosing their own level of intensity of course). The dark humor is a selective touch, but well done for those who choose to use it. But all in all, the best thing Darkman offers is a solid, relatable character progression, and no matter what field you write in, that progression has to be brought out of the dark for your work to see the light. Since I spent last week talking about an author that inspired me, I felt I should continue the trend with another highly influential author. A longtime source of classic fantasy literature, the work of this particular author was what convinced me that Lightrider would even be possible to attempt. This author is the one and only, Terry Brooks. A writer since high school, Terry Brooks first drew attention in the seventies with his first novel, The Sword of Shannara, above the adventures of the Ohmsford family, last descendants of the Elven house of Shannara in a multi-cultural medieval land reminiscent of Tolkien’s Middle Earth. Brooks then turned the novel into a long running series, with each book dealing with a different generation of the Ohmsford family and their allies, usually linked by one of the ancient Druids (first the grim and dark Allannon, then his sucessors) or another character from the previous books. While the series has been a hit, Brooks has also expanded into other series, such as the contemporary fantasies of Kingdom of Landover and Knight of the Word (which has been linked to his Shannara books). Brooks continues to write to this day, currently working on the next volume of Shannara. The last few weeks on POL, I’ve discussed some out of the box sources of inspiration, but since this is about a book, I felt this week, I should talk about something more book-related. And so I have decided to use the week to discuss an author whom I can claim as my first writing influence- one of the masters of American horror, Mr. Stephen King. Almost everyone has probably heard of at least one story by Stephen King. 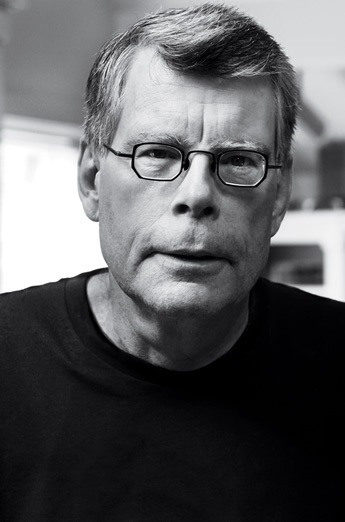 One of the most popular and bestselling authors of the last forty years, King is primarily known for his horror stories, which range from the supernatural (Pet Sematary, The Shining, Needful Things), to the mundane turned horrific (Cujo, Christine, The Dark Half), to gritty suspense (Dolores Claiborne, Misery). However, King has penned tales of hope, redemption, and the trials of youth (Shawshank Redemption, The Green Mile, Hearts in Atlantis), as well as epic fantasy (The Dark Tower Saga, The Eyes of the Dragon) all spread out over thirty novels, countless short stories, and even some original screenplays. Writing well into his sixties, King remains one of the most successful authors in the world- his work has been turned into various films (though not all successful), and he has received various literary awards over his career. Stephen King was the first serious author I ever read, thanks to my mother’s attempt to wean me from the child’s horror of R.L. Stine’s Goosebumps series. With the impact King had, it was probably the best thing she ever did for me. What I loved the most about my first King book (Different Seasons, a collection of four novellas) was how much of a picture King painted with his words. Just by having the characters talk, I not only got a clear picture of them, but also the world in which they lived. When Red, the inmate narrator of Shawshank describes his life as the prison’s ‘supplier’, you immediately understand not only him, but the dreary, endlessly routine world in which he lives. And by doing that, King shows another skill- his ability to tie themes into his story without letting them overshadow the tale. Last week, I discussed how a video game gave me inspiration for the worlds and diverseness of Lightrider. And since I’ve already discussed TV and literature, I’d like to discuss another aspect that helped in a particular area of the book’s development- my love of music. Obviously, this didn’t mean I was now writing about rock stars, but as Zelda helped me to create a diverse, rich world, music helped me to create real people to populate it. 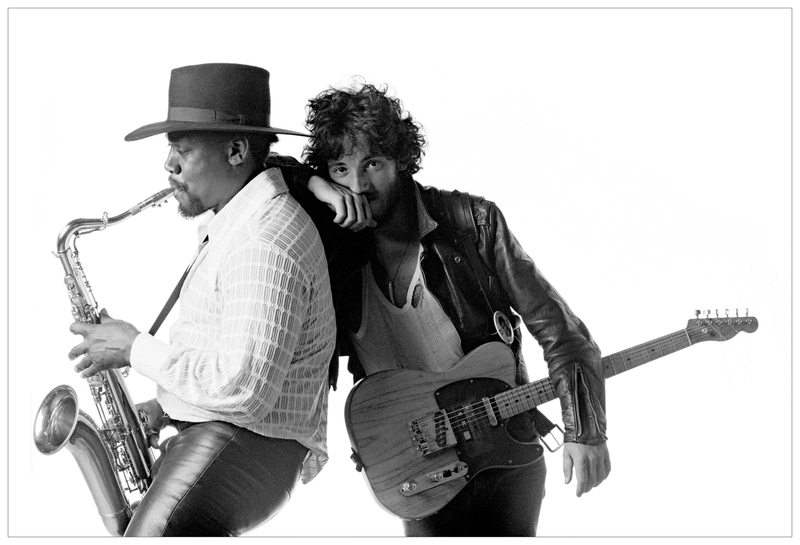 Are you Born to Run? Thus far on points of light, I’ve discussed two of my influences from television and literature. As many people can tell, these are mediums rich with inspiration and ideas to inspire the imagination. However, as writers, we should try to look for inspiration anywhere we can find it. Great books can come from anything; as I’ve mentioned before, Stephen King wrote the epic IT after seeing a sewer drain in the middle of a forest. So I’ve always tried to take something from any sort of medium I’ve found, and one particular source has been a source of great inspiration- Nintendo’s classic video game series, The Legend of Zelda. 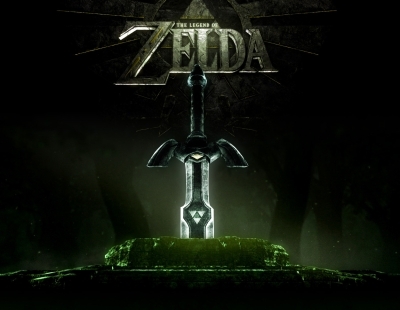 Zelda’s first game was released back in 1986, and has spawned several sequels across various consoles. 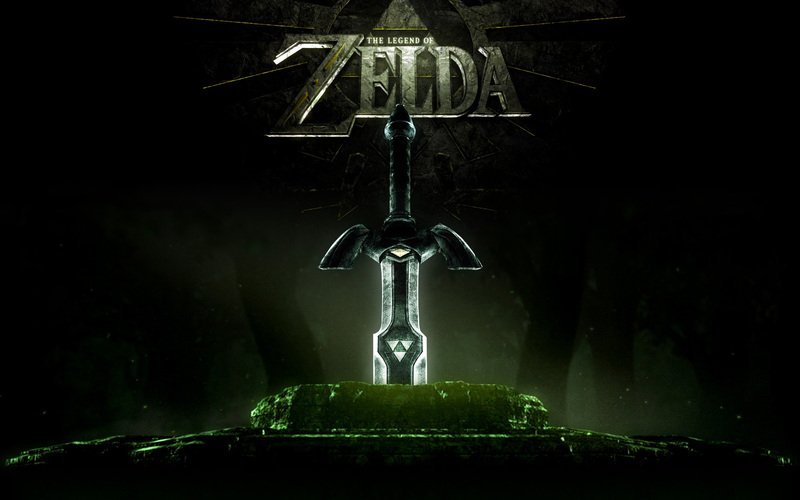 While the general plot has varied between games, the general concept is usually the rescue of the Princess of Hyrule Zelda by the game’s hero Link, and the exploration and redemption of the medieval land of Hyrule (or another land in some games). In particular, I have taken influence from the games Majora’s Mask, Twilight Princess, Wind Waker, and the most recent game, Skyward Sword. However, one game more then any other was influential in the development of Lightrider- the gaming classic Ocarina of Time.